Scores 42 Highway MPG and 30 City MPG! This Volkswagen Jetta Sedan delivers a Turbocharged Diesel I4 2.0L/120 engine powering this Automatic transmission. Window diversity antenna, V-Tex Leatherette Seat Trim, Vented front/solid rear pwr disc brakes. *This Volkswagen Jetta Sedan Comes Equipped with These Options *Variable intermittent windshield wipers -inc: heated washer nozzles, Torsion beam axle rear suspension -inc: coil springs, telescopic dampers, Tire pressure monitoring system (TPMS), Tilt/telescoping leather-wrapped multifunction steering wheel w/Bluetooth & audio controls, Temporary spare tire, Sunglasses holder, Strut-type front suspension w/lower control arms -inc: coil springs, telescopic dampers, anti-roll bar, Soft touch dashboard, SiriusXM Satellite Radio (subscription required), Remote keyless entry -inc: (2) folding keys, trunk release. * Expert Reviews! *As reported by KBB.com: Despite prices that compete head-on with rivals from the U.S., Japan and Korea, the 2013 Jetta exudes the build quality and dynamic handling associated with a European car. Those seeking to save money on fuel will be drawn to diesel or hybrid versions. * Visit Us Today *Test drive this must-see, must-drive, must-own beauty today at Metro Volkswagen, 2035 W. Airport Freeway, Irving, TX 75062. IIHS Top Safety Pick. Only 50,086 Miles! Delivers 39 Highway MPG and 29 City MPG! This Volkswagen Jetta SportWagen delivers a Turbocharged Diesel I4 2.0L/120 engine powering this Automatic transmission. Window-mounted diversity antenna, V-Tex Leatherette Seat Trim, V-Tex leatherette door panel inserts. * This Volkswagen Jetta SportWagen Features the Following Options *Variable intermittent windshield wipers w/heated washer nozzles, Tire pressure monitoring system (TPMS), Tinted glass, Tilt/telescoping leather-wrapped multi-function steering wheel, Temporary-use spare tire, Split-folding rear bench seat -inc: center armrest w/pass-through & (2) cupholders, head restraints for all seating positions, Speed-sensitive pwr steering, SiriusXM Satellite Radio (subscription required), Roof console w/sunglass holder, Remote keyless entry -inc: selective unlocking, (2) folding key fobs, valet lockout, push-button start. * See What the Experts Say! *As reported by KBB.com: Despite prices that compete head-on with rivals from the U.S., Japan and Korea, the 2013 Jetta exudes the build quality and dynamic handling associated with a European car. Those seeking to save money on fuel will be drawn to diesel or hybrid versions. * Stop By Today *For a must-own Volkswagen Jetta SportWagen come see us at Metro Volkswagen, 2035 W. Airport Freeway, Irving, TX 75062. Just minutes away! IIHS Top Safety Pick. Only 55,213 Miles! Scores 39 Highway MPG and 29 City MPG! This Volkswagen Jetta SportWagen delivers a Turbocharged Diesel I4 2.0L/120 engine powering this Automatic transmission. Window-mounted diversity antenna, V-Tex Leatherette Seat Trim, V-Tex leatherette door panel inserts. * This Volkswagen Jetta SportWagen Features the Following Options *Variable intermittent windshield wipers w/heated washer nozzles, Tire pressure monitoring system (TPMS), Tinted glass, Tilt/telescoping leather-wrapped multi-function steering wheel, Temporary-use spare tire, Split-folding rear bench seat -inc: center armrest w/pass-through & (2) cupholders, head restraints for all seating positions, Speed-sensitive pwr steering, SiriusXM Satellite Radio (subscription required), Roof console w/sunglass holder, Remote keyless entry -inc: selective unlocking, (2) folding key fobs, valet lockout, push-button start. * Expert Reviews! *As reported by KBB.com: Despite prices that compete head-on with rivals from the U.S., Japan and Korea, the 2013 Jetta exudes the build quality and dynamic handling associated with a European car. Those seeking to save money on fuel will be drawn to diesel or hybrid versions. * Stop By Today *For a must-own Volkswagen Jetta SportWagen come see us at Metro Volkswagen, 2035 W. Airport Freeway, Irving, TX 75062. Just minutes away! Only 38,556 Miles! Boasts 42 Highway MPG and 30 City MPG! This Volkswagen Jetta Sedan boasts a Turbocharged Diesel I4 2.0L/120 engine powering this Automatic transmission. Window diversity antenna, V-Tex Leatherette Seat Trim, Vented front/solid rear pwr disc brakes. * This Volkswagen Jetta Sedan Features the Following Options *Variable intermittent windshield wipers -inc: heated washer nozzles, Torsion beam axle rear suspension -inc: coil springs, telescopic dampers, Tire pressure monitoring system (TPMS), Tilt/telescoping leather-wrapped multifunction steering wheel w/Bluetooth & audio controls, Temporary spare tire, Sunglasses holder, Strut-type front suspension w/lower control arms -inc: coil springs, telescopic dampers, anti-roll bar, Soft touch dashboard, SiriusXM Satellite Radio (subscription required), Remote keyless entry -inc: (2) folding keys, trunk release. * The Experts' Verdict...*As reported by KBB.com: Despite prices that compete head-on with rivals from the U.S., Japan and Korea, the 2013 Jetta exudes the build quality and dynamic handling associated with a European car. Those seeking to save money on fuel will be drawn to diesel or hybrid versions. * Stop By Today *For a must-own Volkswagen Jetta Sedan come see us at Metro Volkswagen, 2035 W. Airport Freeway, Irving, TX 75062. Just minutes away! Delivers 45 Highway MPG and 31 City MPG! This Volkswagen Jetta Sedan delivers a Intercooled Turbo Diesel I-4 2.0 L/120 engine powering this Automatic transmission. Window Grid Diversity Antenna, Wheels: 16 Alloy, Wheels w/Silver Accents. *This Volkswagen Jetta Sedan Comes Equipped with These Options *Vw Car-Net Selective Service Internet Access, Vw Car-Net Emergency Sos, V-Tex Leatherette Seat Trim, Variable Intermittent Wipers w/Heated Jets, Trunk Rear Cargo Access, Trip Computer, Transmission: 6-Speed DSG Automatic w/Tiptronic, Tracker System, Torsion Beam Rear Suspension w/Coil Springs, Tires: 16 All-Season. * See What the Experts Say! *As reported by The Manufacturer Summary: The Volkswagen Jetta is a gorgeously sculpted sedan with daring angles and sumptuous curves. It has a high-end look with sleek aerodynamic lines, and comes in 6 models for buyers to choose from. The base Jetta S is equipped with a 2.0L, 115hp, 4-cylinder engine with your choice of a 5-speed manual or 6-speed automatic. Higher levels have the same transmission choices as the S, but with a 170hp Turbocharged engine instead. The TDI with its 140hp engine gets up to an incredible EPA estimated 46 MPG on the highway. For more of a rush, the GLI is ready to take off with its turbocharged 210hp engine, sport suspension, sport steering wheel, and front sport comfort seats. For maximum fuel efficiency and an exciting drive, the Jetta Hybrid is available with a 170hp turbocharged engine, a 7-speed DSG automatic transmission with Tiptronic, and gets an EPA estimated 48 MPG on the highway. The interior of the Jetta is sophisticated, roomy, and stylish. It comes standard with a multi-function trip computer and an auxiliary input for your radio. Higher trims have available features like Bluetooth audio streaming, a power sunroof, push-button start, touchscreen navigation, Fender Premium Audio, a Rearview camera, and heated front seats. For your gear, the Jetta has 15.5 cubic feet of cargo space, and 60/40 split folding rear seats. The Volkswagen Car-Net communication system is available on most trims. It gives you services like roadside assistance, and crash notification. Safety features include anti-lock brakes, stability control, and the Intelligent Crash Response System. In a collision it deploys the airbags, disables the fuel pump, turns on your hazard lights, and unlocks the doors. * Visit Us Today *Come in for a quick visit at Metro Volkswagen, 2035 W. Airport Freeway, Irving, TX 75062 to claim your Volkswagen Jetta Sedan! Only 32,426 Miles! Delivers 42 Highway MPG and 30 City MPG! This Volkswagen Jetta Sedan boasts a Turbocharged Diesel I4 2.0L/120 engine powering this Automatic transmission. Window diversity antenna, V-Tex Leatherette Seat Trim, Vented front/solid rear pwr disc brakes. * This Volkswagen Jetta Sedan Features the Following Options *Variable intermittent windshield wipers -inc: heated washer nozzles, Torsion beam axle rear suspension -inc: coil springs, telescopic dampers, Tire pressure monitoring system (TPMS), Tilt/telescoping leather-wrapped multifunction steering wheel w/Bluetooth & audio controls, Temporary spare tire, Sunglasses holder, Strut-type front suspension w/lower control arms -inc: coil springs, telescopic dampers, anti-roll bar, Soft touch dashboard, SiriusXM Satellite Radio (subscription required), Remote keyless entry -inc: (2) folding keys, trunk release. * The Experts' Verdict...*As reported by KBB.com: Despite prices that compete head-on with rivals from the U.S., Japan and Korea, the 2013 Jetta exudes the build quality and dynamic handling associated with a European car. Those seeking to save money on fuel will be drawn to diesel or hybrid versions. * Stop By Today *A short visit to Metro Volkswagen located at 2035 W. Airport Freeway, Irving, TX 75062 can get you a reliable Jetta Sedan today! IIHS Top Safety Pick. Only 31,597 Miles! Delivers 42 Highway MPG and 30 City MPG! Carfax One-Owner Vehicle. This Volkswagen Jetta Sedan boasts a Turbocharged Diesel I4 2.0L/120 engine powering this Automatic transmission. Window diversity antenna, Variable intermittent windshield wipers -inc: heated washer nozzles, Twin-beam rear suspension -inc: coil springs, telescopic pressurized gas shock absorbers, stabilizer bar. * This Volkswagen Jetta Sedan Features the Following Options *Trunk escape handle, Tire pressure monitoring system, Tilt/telescoping leather-wrapped 3-spoke multifunction steering wheel -inc: theft-deterrent steering column, SIRIUS satellite radio (subscription required), Remote trunk release, Remote keyless entry -inc: (2) folding keys, Rear seat lower anchors & tethers for children (LATCH), Pwr windows -inc: front/rear 1-touch auto up/down, pinch protection, key-operated open/close feature, Pwr tilt/sliding sunroof -inc: tinted glass, manual sunshade, pinch protection, driver door-mounted controls, Pwr door locks -inc: auto-lock, front/rear central locking controls, auto-unlock upon airbag deployment. * The Votes are Counted *IIHS Top Safety Pick, Ward's 10 Best Engines. * Expert Reviews! *As reported by KBB.com: Interior quality, driving dynamics and individuality are still Jetta strong suits. Now that prices are down and roominess is up, Volkswagen's perennial best-seller can even appeal to your practical side. * Stop By Today *A short visit to Metro Volkswagen located at 2035 W. Airport Freeway, Irving, TX 75062 can get you a trustworthy Jetta Sedan today! Outfitted with a backup camera, Bluetooth, braking assist, hill start assist, stability control, traction control, anti-lock brakes, dual airbags, side air bag system, and digital display, this 2019 Volkswagen Jetta S is a true steal. It has a 1.4 liter 4 Cylinder engine. We're offering a great deal on this one at $20,985. Use all of your electronics hands free with the Bluetooth feature. Call and schedule your test drive today! Contact Information: Metro VW, 2035 w. Airport FWY, Irving, TX, 75062, Phone: (469) 556-2531, E-mail: rbehrendt@metrovw.com. You'll love the look and feel of this 2019 Volkswagen Jetta S, which features a backup camera, Bluetooth, braking assist, hill start assist, stability control, traction control, anti-lock brakes, dual airbags, side air bag system, and digital display. It comes with a 1.4 liter 4 Cylinder engine. This one's available at the low price of $20,690. A ravishing pure white exterior and a titan black interior are just what you need in your next ride. Do more than just drive: Bluetooth capability provides wireless access for all your electronic devices. Don't sit on this decision for long...schedule your test drive today! 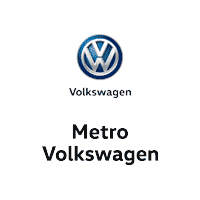 Contact Information: Metro VW, 2035 w. Airport FWY, Irving, TX, 75062, Phone: (469) 556-2531, E-mail: rbehrendt@metrovw.com. Only 5,035 Miles! Boasts 40 Highway MPG and 30 City MPG! This Volkswagen Jetta boasts a Intercooled Turbo Regular Unleaded I-4 1.4 L/85 engine powering this Automatic transmission. Window Grid Diversity Antenna, Wheels: 16 Silver Rama, Variable Intermittent Wipers. * This Volkswagen Jetta Features the Following Options *Urethane Gear Shift Knob, Trunk Rear Cargo Access, Trip Computer, Transmission: 8-Speed Automatic w/Tiptronic -inc: sport mode, Torsion Beam Rear Suspension w/Coil Springs, Tires: 16 All-Season, Systems Monitor, Strut Front Suspension w/Coil Springs, Spare Tire Mobility Kit, Single Stainless Steel Exhaust. * Visit Us Today *A short visit to Metro Volkswagen located at 2035 W. Airport Freeway, Irving, TX 75062 can get you a reliable Jetta today! Scores 23 Highway MPG and 17 City MPG! This Volkswagen Atlas boasts a Regular Unleaded V-6 3.6 L/220 engine powering this Automatic transmission. Window Grid Diversity Antenna, Wheels: 18 Prisma Alloy, Wheels w/Silver Accents. *This Volkswagen Atlas Comes Equipped with These Options *Vw Car-Net Selective Service Internet Access, V-Tex Leatherette Seating Surfaces, Valet Function, Trip Computer, Transmission: 8-Speed Auto w/Tiptronic, Transmission w/Driver Selectable Mode, Tracker System, Tires: 18 AS, Tailgate/Rear Door Lock Included w/Power Door Locks, Systems Monitor. * Stop By Today *Come in for a quick visit at Metro Volkswagen, 2035 W. Airport Freeway, Irving, TX 75062 to claim your Volkswagen Atlas! Only 290 Miles! Delivers 23 Highway MPG and 17 City MPG! This Volkswagen Atlas delivers a Regular Unleaded V-6 3.6 L/220 engine powering this Automatic transmission. TRAILER HITCH EXTRAS -inc: Hitch ball and mount (5,000 lb, tow capacity) and 7-pin adapter plug, TOWING PACKAGE -inc: Factory installed trailer hitch w/5,000 lbs, towing capacity,, RUBBER MATS KIT - BENCH SEATS -inc: set of 4 Monster Mats w/logo, Heavy Duty Trunk Liner w/VW CarGo Blocks. *This Volkswagen Atlas Comes Equipped with These Options *Window Grid Diversity Antenna, Wheels: 18 5-Spoke, Vw Car-Net Selective Service Internet Access, V-Tex Leatherette Seating Surfaces, Valet Function, Trip Computer, Transmission: 8-Speed Automatic w/Tiptronic, Transmission w/Driver Selectable Mode, Tracker System, Tires: 18 All-Season. * Stop By Today *For a must-own Volkswagen Atlas come see us at Metro Volkswagen, 2035 W. Airport Freeway, Irving, TX 75062. Just minutes away! ALG Best Residual Value. Boasts 38 Highway MPG and 28 City MPG! This Hyundai Elantra delivers a Gas I4 1.8L/110 engine powering this Automatic transmission. WHEEL LOCKS, REAR BUMPER APPLIQUE, PREFERRED PKG 3 -inc: 16 alloy wheels, front fog lights, steering wheel audio controls, Bluetooth hands-free phone system w/voice recognition, cloth insert door trim, sliding center armrest, illuminated visor vanity mirrors w/extensions, illuminated ignition. *This Hyundai Elantra Comes Equipped with These Options *GRAY, CLOTH SEAT TRIM, CARPETED FLOOR MATS, CARGO TRAY, CARGO NET, Windshield shade band, Warning lights -inc: oil pressure, battery charge, door ajar, seatbelt, low fuel, trunk lid open, brake, check engine, ABS, TPMS, ESC, water temp, Visor vanity mirrors, Vehicle stability management (VSM), Trunk lid inner cover, Trip Computer. * The Votes are Counted *IIHS Top Safety Pick, ALG Best Residual Value, NACTOY 2012 North American Car of the Year, KBB.com 10 Best Green Cars, KBB.com 10 Best Sedans Under $25,000. * See What the Experts Say! *As reported by KBB.com: If your price range says economy car, but your taste says sleek and stylish, the 2012 Hyundai Elantra may very well be the answer to your dilemma. Looking somewhat like a miniaturized Hyundai Sonata, the 2012 Hyundai Elantra sedan definitely outclasses just about everything in its segment, yet its low price, feature-laden standard-equipment list and large interior defy the compact-car image. * Stop By Today *Live a little- stop by Metro Volkswagen located at 2035 W. Airport Freeway, Irving, TX 75062 to make this car yours today! Scores 34 Highway MPG and 24 City MPG! This BMW 4 Series boasts a Intercooled Turbo Premium Unleaded I-4 2.0 L/122 engine powering this Automatic transmission. Window Grid Diversity Antenna, Wheels: 18 x 8 Double-Spoke (Style 397), Wheels w/Machined w/Painted Accents Accents. *This BMW 4 Series Comes Equipped with These Options *Valet Function, Trunk/Hatch Auto-Latch, Trunk Rear Cargo Access, Trip Computer, Transmission: 8-Speed Sport Automatic, Transmission w/Driver Selectable Mode and STEPTRONIC Sequential Shift Control w/Steering Wheel Controls, Tracker System, Tires: P225/45R18 All Season, Tire Specific Low Tire Pressure Warning, Tailgate/Rear Door Lock Included w/Power Door Locks. * Stop By Today *Come in for a quick visit at Metro Volkswagen, 2035 W. Airport Freeway, Irving, TX 75062 to claim your BMW 4 Series!